SO YOU THINK (NZ) (Bay or Brown 2006-Stud 2012). 14 wins-1 at 2, MVRC WS Cox P., Gr.1-twice. Sire of 207 rnrs, 84 wnrs, inc. SW La Bella Diosa (New Zealand One Thousand Guineas, Gr.1), Inference, Gold Rush, Northwest Passage, SP Coral Coast, Neguev, I Thought So, Kaching, Smart as You Think, So Si Bon, So You Too, The Pinnacle, Shapes, Conscious and of D'Argento, Care to Think, Punked, Calculated, Global Thinking, Higher Ground, Impulsive, etc. LA REMLAP, by Choisir. 3 wins-1 at 2-at 1100m, A$157,400, AJC Family Membership H., STC Kemps Creek Liquor Master H., Thoroughbred Breeders NSW 2YO H., 2d ATC TAB Number 1 Club H., North Ryde RSL Club H., International Animal Health H., STC Members H., 3d ATC Vinery Stud H., Tigers Five Dock H., Alconex Fire H. Half-sister to MANAWANUI. This is her first live foal. MANAWANUI (Oratorio). 7 wins-2 at 2-from 1100m to 2050m, A$1,445,830, ATC Golden Rose S., Gr.1, Stan Fox S., Gr.2, MVRC Mitchelton Wines Vase, Gr.2, ATC Bill Ritchie H., Gr.3, Up & Coming S., Gr.3, Bacardi 2YO H., TJ's Champagne Bar 2YO H., 2d MRC Caulfield Guineas, Gr.1, ATC Hobartville S., Gr.2, Royal Sovereign S., Gr.2, 3d ATC Sirecam 2YO H., 4th MRC Moonga S., Gr.3. Doom 'n' Boom. 5 wins from 1850m to 2100m, A$90,450, to 2016-17, MRC OTI Tour of Victoria H.
La Remlap. 3 wins. See above. Remlaps Jewel. 3 wins to 1100m in Aust. Remlaps Joy. 2 wins at 900m, 1000m in 2016-17 in Aust. Pierone. Winner at 2 in 2016-17 in Aust. Nitonic. 16 wins from 1000m to 2600m, A$169,603, SAJC 8 Rar Long Hai Memorial H., Sportingbet H., Panasonic H., 3d SAJC Glenelg District Cricket H., 4th SAJC Japan Trophy H., L.
Lady Remlap. 7 wins. See above. Dr Remlap. 9 wins from 1000m to 1800m, A$105,705, 3d Hawkesbury RC BTW Communications H.
Aquamonious. 2 wins at 1000m, 3d STC Bulldogs Fan Night H., Young Members Cruise H.
Grumblebum. Winner at 1200m in Aust. The Snagglepuss. Placed in Aust. Little Bit Lively. 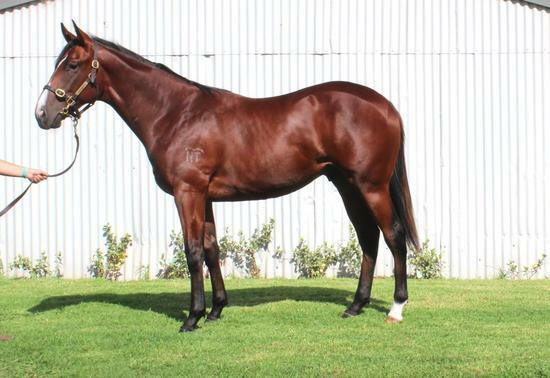 8 wins to 1550m, A$84,260, BTC Stryker H., 2d AJC Imagele H., STC Hawaiian Beach Party H., West Sydney Razorbacks H. Sire. Remlap - Blessings Win (Mac.). 10 wins to 1300m in Aust. and Macau. The Glen. 14 wins-5 at 2-to 1250m, A$110,545, AJC Flying Knight H., Global Despatch H., STC Epping H., 2d AJC Tooheys Blue Label H., BTC Doomben Dash Flying H., 3d AJC Chantal H., STC Peters of Kensington H.
Sourpuss. 12 wins. See above. Star's Ego. 9 wins to 1200m, A$97,380, STC Blake Dawson & Waldron H., Auburn H., 2d STC Dundas H., Tooheys Gold H., 3d AJC De Mestre H., Yeramba Estates H., CW Cropper H.
Ephraim. 5 wins to 1300m in Aust. Cadillac Dream. 2 wins at 800m, 1000m in Aust. Allcirullah. 4 wins from 1200m to 1600m in Aust. Alien Prince. 5 wins to 1200m in Aust. Vain Explorer. 5 wins. See above. Handler. 3 wins to 1200m, 3d QTC Speed of Sound H. Sire. Mythical Moment. 2 wins at 1200m, 1400m in Aust.